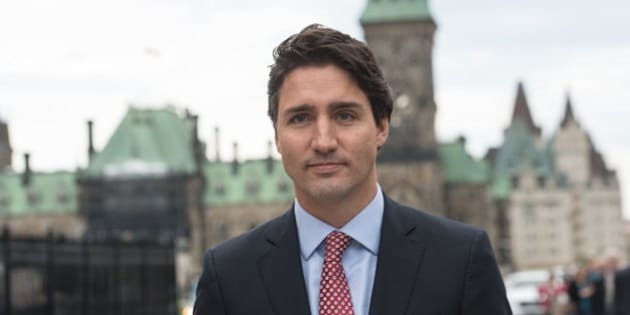 In an attempt to increase transparency, Prime Minister Justin Trudeau has made "mandate letters" to his ministers publicly available. These letters are intended to clarify the focus of each minister's portfolio. When it comes to the mandate delineated for the minister of finance, the prime minister should seriously rethink some of the priorities. The letter lists 27 top priorities but for brevity's sake, let's examine four of the first five -- all four are misguided. The letter alludes to the Liberal campaign promise to run annual deficits for the next three years. Deficits can make sense when the economy is hit by a severe shock, but we are nearly seven years removed from the recession of 2008-09. While Canada's economy is hardly firing on all cylinders, there's a risk that deficits are becoming "business as usual." We saw a similar scenario in the 1970s, 1980s, and early 1990s when the federal government ran 27 consecutive deficits. These deficits hampered Canada's ability to enact competitive tax policies and led to a dramatic accumulation of debt. Canadians should also be wary of further accelerated increases in government spending, especially in the name of stimulating the economy. A vast body of academic literature casts serious doubt on the ability of government stimulus spending to boost economic activity. The plan to raise the top federal income tax rate is especially misguided. A robust body of research shows that high personal income tax rates are harmful to economic performance as they discourage people from working, saving, investing, and taking entrepreneurial risks. Canada's personal income tax system fares poorly compared to a number of other industrialized countries in terms of both tax rates and the income levels at which they apply. With the new proposed top tax rate of 33 per cent, Canada's competitive standing will worsen, making the top marginal tax rate (federal and provincial combined) the fourth highest among industrialized countries, according to OECD data. The federal tax increase will exacerbate recent rate increases in several provinces including Ontario and Alberta. The letter prioritizes working with provincial and territorial finance ministers to expand the Canada Pension Plan. Yet a number of studies find no broad "retirement savings crisis" in Canada. As former Statistics Canada chief economic analyst Philip Cross demonstrates, a comprehensive perspective of saving behaviour does not support the view that most Canadians are not saving adequately for retirement. A major review of Canada's retirement income system overseen by Prof. Jack Mintz also came to this conclusion, as did an important study by McKinsey & Company. Further, according to pension expert Malcolm Hamilton, the assumptions underpinning the claim that "few middle income [Canadians] have sufficient retirement savings" are incorrect. Perhaps more problematic, the evidence based on past CPP expansion suggests that when the government increases compulsory savings, households reduce voluntary savings, leaving them no better off in terms of total savings. The risk then is that they lose out on the choice and flexibility afforded by private savings in RRSPs and TFSAs. The letter commits to cancelling the previous government's income-splitting tax credit for families but offers no alternative solution. Income-splitting tackles a distortion in Canada's tax system between households. In principle, households with similar incomes should face similar tax burdens. In practice, households with similar incomes can face very different income tax bills depending on who earns the income. If a household has two earners at say $50,000 each, it would ultimately pay lower combined income taxes than a one-earner household with the same amount of income. While income-splitting is one way to help fix this distortion, an even better option is to simply eliminate the two middle personal income tax brackets, leaving one tax bracket (15 per cent) for the overwhelming majority of Canadians and a single high-income bracket of 29 per cent, affecting approximately two per cent of taxpayers. This would diminish the need for income-splitting for almost all households while improving economic incentives and tax competitiveness. To help finance this tax change, the government could eliminate or reduce ineffective tax expenditures -- one of the priorities outlined by Trudeau in his letter to the finance minister. This piece was co-written by Ben Eisen, Fraser Institute senior policy analyst.